How do you celebrate one of the best series WiiWare has to offer? Pack it all onto one disc and call it BIT.TRIP COMPLETE, that's how. Gaijin Games' genre-defying series is coming to Wii later this year, and the studio has revealed more about what players can expect from the new collection. 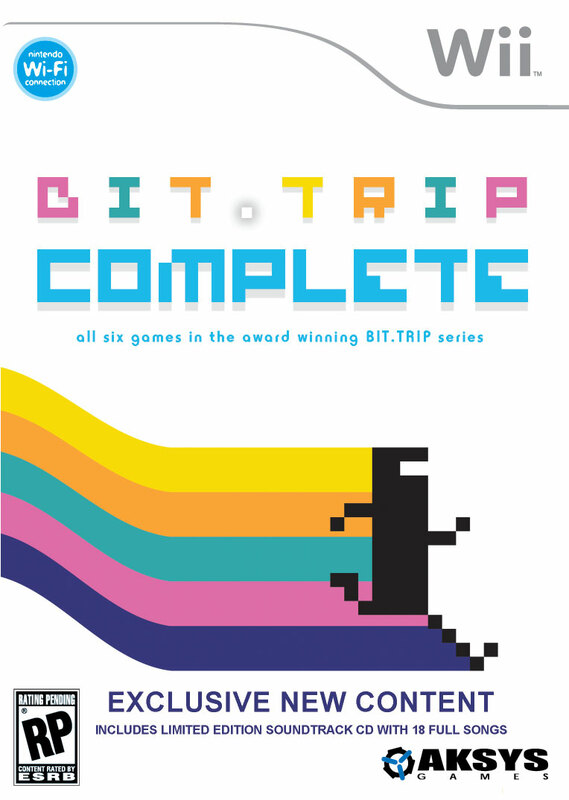 As well as all six BIT.TRIP games — that's BEAT, CORE, VOID, RUNNER, FATE and FLUX, of course — on one disc, the game will also feature exclusive videos, pictures and music, a soundtrack CD, 120 new challenges and online leaderboards. 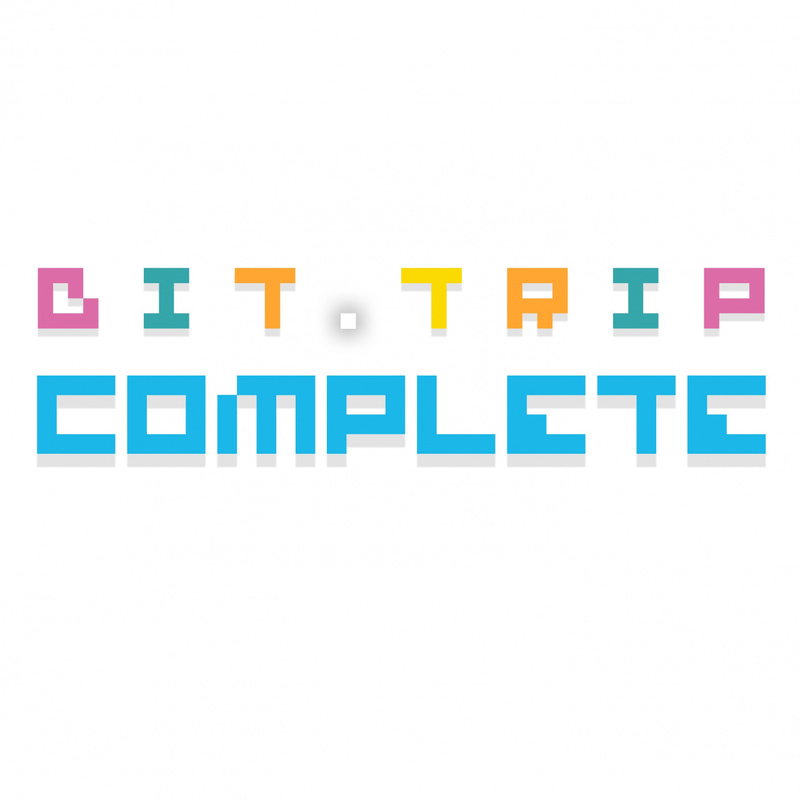 Expect to find out more about BIT.TRIP COMPLETE, including a release date, in the coming weeks. Some of you may have already heard the news that BIT.TRIP COMPLETE for the Nintendo Wii is going to hit store shelves alongside BIT.TRIP SAGA for the Nintendo 3DS later this Summer, and I’m here to tell you that it is going to be awesome. Thanks to invmat for sending this in. I was going to go with the 3DS collection for the portability but those new features, especially the 120 challenges sound interesting. It'll be hard to decide which to get. jaw drops can they really include all that!? C'mon Gaijin, don't let us down. Darn I may have to get both. This look like a good way to keep the Wii alive in the meantime. Great news! This sounds good! 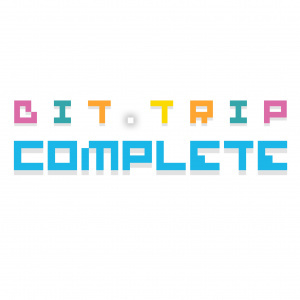 I've only tried a demo of one or two of the BIT.TRIP games so far and that was pretty awesome and always wanted to get me one of the games, so this sounds like an awesome deal! part of me is outraged that i'm going to have to purchase these games for a third time in order to have my cake and eat it too (i need Saga for the portability factor, otherwise after hearing about Complete i wouldn't bother). another part of me is overjoyed that this is seeing such an amazing Wii retail release. Complete sounds like the definitive version of the series, and I'm thrilled for Gaijin Games that this is happening for them. i can't wait for these games! I'm just happy to see the games getting even better than they already were. Be nice to own retail copies of both SAGA and COMPLETE. And any time I can support a great developer like Gaijin Games, I'm all over it. I'll buy it right away, and even a 3rd time if I have to. These games are being worth more than Wii Sports, Wii Fit, Wii Fit Plus and Wii Music combined. Buying these games 3 times is much cheaper and I'll enjoy it, instead of seeing I have overweight again . The only thing I would hope for is that existing save games can be transferred, but I doubt it (Nintendo couldn't even do it with Metroid Prime Trilogy). "Thanks to invmat for sending this in." Argh... Why couldn't they make this easy and add all those features in with the 3DS game? Ooh, gonna keep an eye out for this gem! Wow. I have all six, and I think i'll be getting COMPLETE if it's like $40 or something. The extras are VERY tempting. I gotta say, I'd like to see Gaijin try something new instead of rereleasing these games to death. Will definitely be looking into this one, I have beat, void, and runner already, and the extras seem worth it, online leaderboards is gonna give these already addictive games mad replay value. And it mentions something about new difficulty modes, i would love for some of these games to be easier simular to how mega man 10 had an easy mode. I would like mode in Runner where you could go around into bonus tracks without having to beat the level everytime. Gaijin please!!! I want Saga and I hope that soundtrack CD is with it too? Ooooh.... This may be worth getting both titles. Saga for portability, Wii for extra features. I hear they are working on a brand new game for Wii U. It's tentatively called Super Bit Trip Saga Turbo II Complete HD Remix or SBTSTIICHD. I love the games, but WiiWare supports DLC. People should use it. I badly want all these features, but I've spent $52 on the series already. Wish I'd never bought the games now. Rereleasing on the same console is rather silly. Maybe with Wii U drawing closer I can sell the Wii and get this once Wii U comes out, though I have no idea if the online portions of Wii games will work on Wii U. Oh difficulty modes, my blood pressure would be so much lower if you had been around earlier. Amazing extras! Now if they only were in SAGA too. I hope it comes with the soundtrack CD in Europe too. Must have this! Must have Saga! Agh, wish I never bought the original WiiWare games in retrospect. Extra content and coming to the wii too! Ace! You rock gaijin games! That's pretty cool. I see no evidence the last two games are getting a Japanese release, so this would be a good way to complete the collection. Having to beat some of the more challenging levels again is a bit annoying, but I'll live! Wont get it. I have the full series already. I also have mentioned before at multiple times... release the leaderboard as a free channel maybe with a (not free) streamin jukebox feature and story extras. Sad to now see that they used my idea with an all american twist. Kick the hell out of your customers, they will be begging for more. Well Gaijin... look at my finger rising to extreme portions. Give us the frickin´leaderboard channel for free now. I´m 110% certain they will release a HD WiiU version too? Maybe even for launch. Will you spend your hard earned cash for that too? @tbd: You could skip the Wii version to get it in glorious HD instead. Looks like I might need to skip the 3DS version. This looks like it has a lot more content. It seems like they're just releasing the games again to get more money. Complete isn't adding "new levels," at least not from the description on this page. I first thought: Hmm they changed the name from SAGA to COMPLETE. And: On a disc? They must mean a card, since it's for the 3DS. But then I realized this is for the wii! Ah, forget about the 3DS: I'll go for the wii version!! This is how video game developers are supposed to treat fans. I almost have no words for this. While they do realize that they will earn more money by re-releasing the games on the 3DS in pretty much original format, they aren't simply re-releasing them. The 3D is nice and everything, but really, making them portable changes the experience you can have with the games. They're so fun and addicting, but you eventually have to put them down. That changes with Bit.Trip Saga. I only ever puchased Beat and Runner on WiiWare, so getting them upgraded, along with all the other games on a disc will be SWEET. I gotta say this better not be more that $20. Don't think I'd pay more than that seeing as how I own them all except flux. As much as I hate to say it, this is the kind of game that seems destined for the bargain bin (N+, anyone?) so I'll wait for the inevitable price drop. @pixelman I agree. They said they're going to start work on this later this year. Could someone tell me which one to buy? I'm definitely going to buy Saga first, but Complete will get some love too!